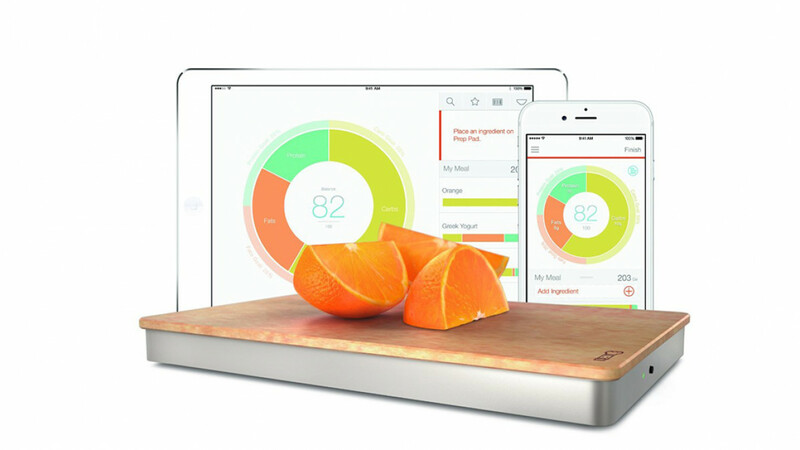 Track all of your meals and their content using this smart scale. It allows you to get information about calories, carbs, fat and protein content in all of your meals. Much easier than having to look up food information such as calories in a book, you can find out instantly as you prepare your food. It also gives you the ability to scan barcodes to instantly access and log information about the prepackaged food that you eat. You can use it with your iPad 3 or newer, any iPad mini, any iPad Air, iPhone 4S or newer and iOS 7 or newer device.